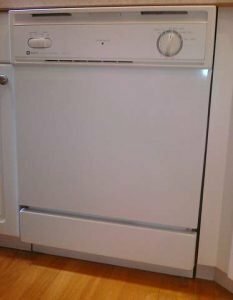 In this post I will take you through the step by step instructions for replacing and wiring a built-in dishwasher. 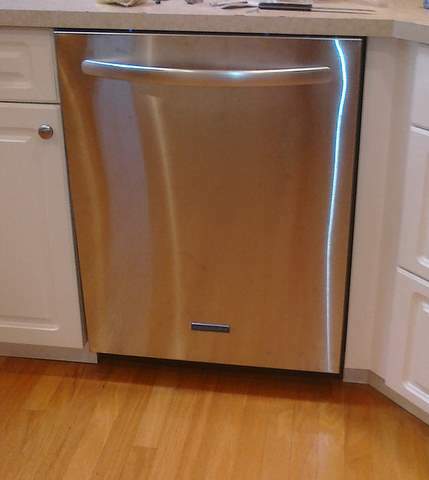 The first step is to shut off the water supply, and the power supply to the existing dishwasher. The water supply will most likely be located under the kitchen sink and will be coming from the hot water supply line that goes to the kitchen sink faucet. The power supply should be from the main electrical panel and in this particular case, it was located in the attached garage of the residence. The breaker was clearly marked as being the supply for the dishwasher, but to be sure, I shut off the breaker and checked to see if the dishwasher had power, and it was definitely off. 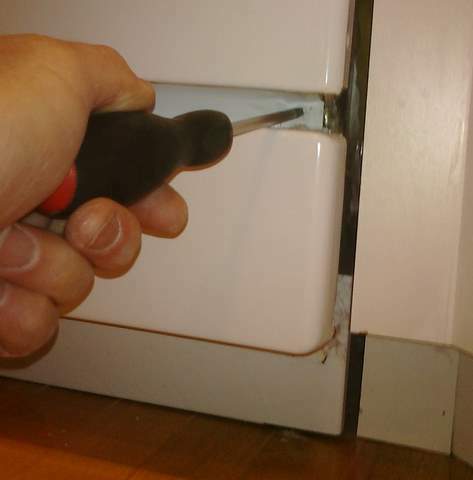 Next we need to remove the access panel under the dishwasher. It will likely be attached by 4 screws, 2 at the top just under the door, and 2 at the bottom near the floor. 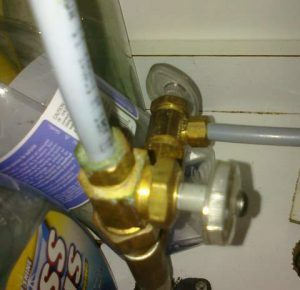 Then disconnect the water supply at the dishwasher water solenoid valve, and take off the drain line. 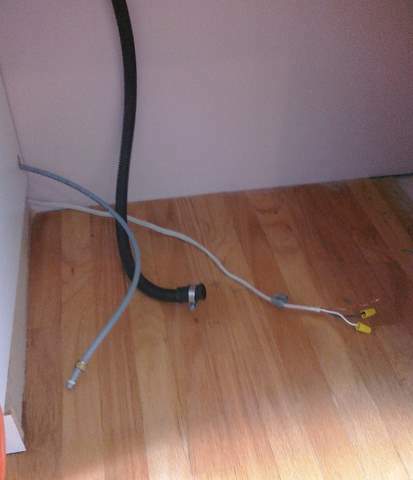 The water will likely be a compression connection, and the drain line will be connected to the pump with a spring clamp or a hose clamp. 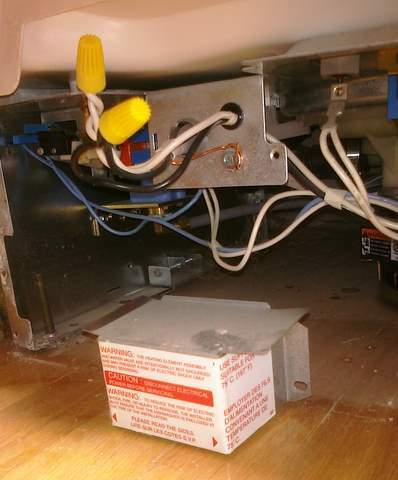 Open up the junction box for the electrical connections, and remove the wire connectors on the black (hot), the white (neutral) wires, and remove the ground wire from the ground screw connection. Loosen the 1/2″ box connector at the back of the box and take out the supply cable. 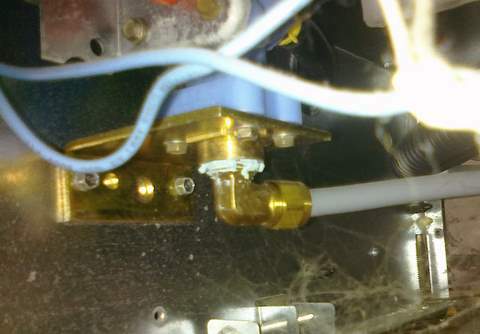 When the drain line, the water line, and the electrical cable are disconnected, push them out of the way so the dishwasher can slide out from the opening. 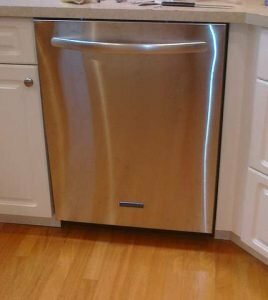 The only thing holding the dishwasher in place will likely be 2 screws that fasten 2 tabs to the under side of the counter top. Un-pack the new dishwasher following the instructions on the box. Inspect the new dishwasher to ensure that you have the necessary fittings to reconnect it to the supply lines. 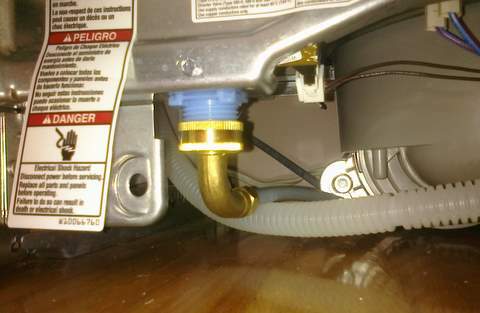 In this case, all we required was a new fitting for the water connection, converting from the garden hose type connection on the new dishwasher, to the 3/8″ compression connection on the existing water supply line. This part was available at the local home improvement store. Line up the new dishwasher to the opening and position the supply lines so that when the unit is pushed in to place, the lines will be accessible for connection. 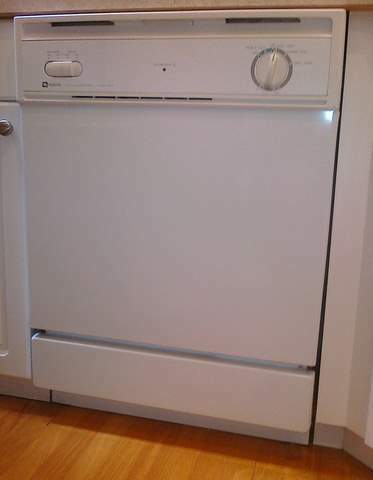 Push the new dishwasher in place and make your connections. 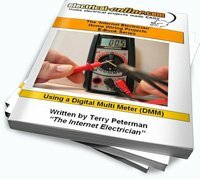 Connect the electrical cable with a 1/2″ box connector in the back of the electrical junction box. Connect the ground wire to the ground terminal, the white (neutral) wires and the black (hot) wires together with the proper wire connectors and then put the cover back on the junction box. Turn on the water supply valve and check for leaks. Adjust the feet and / or wheels under the dishwasher for a proper fit in the cabinet opening, and fasten the mounting tabs to the under side of the counter top. Remove all the packing material, tape, manuals, and anything else that may be inside the dishwasher, and turn on the breaker at the panel. Now you can run a test cycle. If all is well, and there are no leaks, push the sound insulation material in place (if provided), and put the toe kick cover back on the unit as per the instructions. Now stand back and pat yourself on the back for a job well done! Your new dishwasher is ready to provide you with many more years of reliable service! 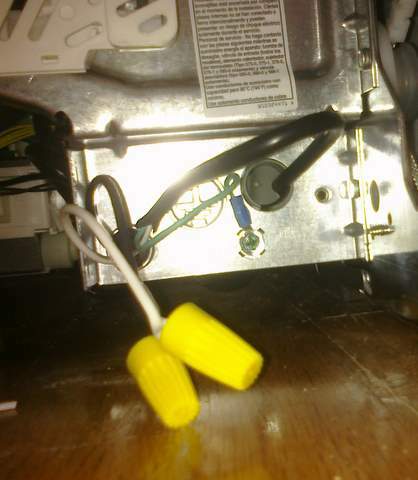 This entry was posted in Electrical Projects, Wiring Projects and tagged connecting a dishwasher, connector, dishwasher, electrical, plumbing, replace a dishwasher, wire connector, wiring a dishwaser. Bookmark the permalink.